Axiom Cyber Solutions will offer a free cyber security seminar at The Lead Team B2B Mixer Expo on Wednesday, May 31, 2016, at 6 p.m. The expo, taking place at Palace Station Hotel and Casino, is designed to help small- to medium-sized businesses network, and more than 400 attendees are expected. Axiom Cyber Solutions is a co-sponsor of the expo. Troy founded Axiom Cyber Solutions a year ago with his wife Shannon, and the company now protects businesses across the country. Last month we hosted a Cybersecurity Lunch and Learn for Small Business Owners with some of our local partners, Orbis Solutions Inc, ViaWest, and Alpine Insurance. There are two types of companies: those who have been hacked, and those who don’t yet know they have been hacked. We have seen a dramatic increase in the number of small and medium sized businesses falling victim to ransomware, phishing, malware and a variety of other nasty cybercrimes. 71 percent of cyber-attacks occur at businesses with fewer than 100 employees. 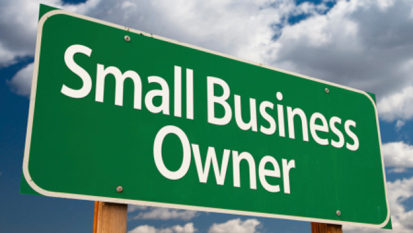 Besides giving small business owners an awareness that they are a target, getting protected is not an impossible task. There are easy ways for small businesses to get the same type of cybersecurity protection that large enterprises have. If you are a business owner or executive that wants to know how to get cybersecurity protection, join us for our next lunch & learn scheduled for May 18th. Call our offices at 800-519-5070, Ext 1000 and RSVP today. Space is limited. Copyright © 2018 Axiom Cyber Solutions LLC - All rights reserved.